1200 researchers from all over the world visit the Brazilian city of Campinas near Sao Paolo every year, to work at the National Laboratory for Synchrotron Light, LNLS. The LNLS electron accelerator creates synchrotron light by accelerating electrons close to light speed, utilizing this special high-intensity and high-brightness light to function as a microscope for investigating the structure of matter and viewing its atoms and molecules. Among other things, synchrotron light has been essential for the production of new drugs, fertilizers, cell analysis, the study of different types of soil and new sources of energy. Now an even stronger light source, named Sirius after the brightest of stars, is under construction in Campinas. Compared to the current electron accelerator with a ring of about 30 meters in diameter, Sirius will have a circumference of 518 meters and an energy level of 3 GeV (gigaelectron-volts). It can hold up to 40 lines of light, which are the experimental stations where the materials are analysed. That is more than twice as many lines as the current accelerator, with a brightness more than 1 billion times greater. As a consequence, Sirius will result in a quantitative and qualitative leap in scientific research to be conducted. High speed and high capacity connections, provided by the Brazilian research and education network RNP, are crucial to the design and construction of Sirius, as well as operating the facility and storing and distributing the huge amounts of data produced when Sirius is completed in 2018. At that time, Sirius will be only the world’s second synchrotron light source of the so-called fourth generation. The first one is the Swedish MAX IV accelerator, inaugurated in June 2016. Although still in its design phase, Sirius already needs high performance connectivity and super-computing resources. To simulate the behaviour of the electrons in the accelerator and the propagation of synchrotron light, the LNLS laboratory uses high-performance connectivity and computational resources found only in the Santos Dumont supercomputer, located at the National Laboratory for Scientific Computing (LNCC) in Petrópolis 400 kilometres away. The laboratory uses the RNP academic network infrastructure to enable a super-connectivity service called High Performance Express Processing (Padex). This service enables a high-flow data transfer band, to speed up the development of Sirius and essential to meet the project deadline in 2018. When Sirius comes into operation, it will bring a change in brightness threshold and will produce high-resolution tomographic images, high-volume tomographic images and large volumes of data that must be processed and stored in a short time, while the researchers are conducting their experiment. Sirius is a very important project for Brazilian science and technology and for international research as well. One of the upcoming challenges for the Sirius project is the processing and storing of data. 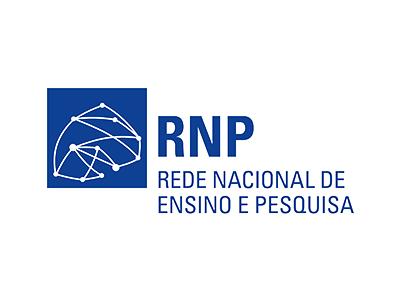 A challenge that will be addressed by a collaboration of the LNLS laboratory itself, the national supercomputing facilities at LNCC and the Brazilian research & education network RNP.